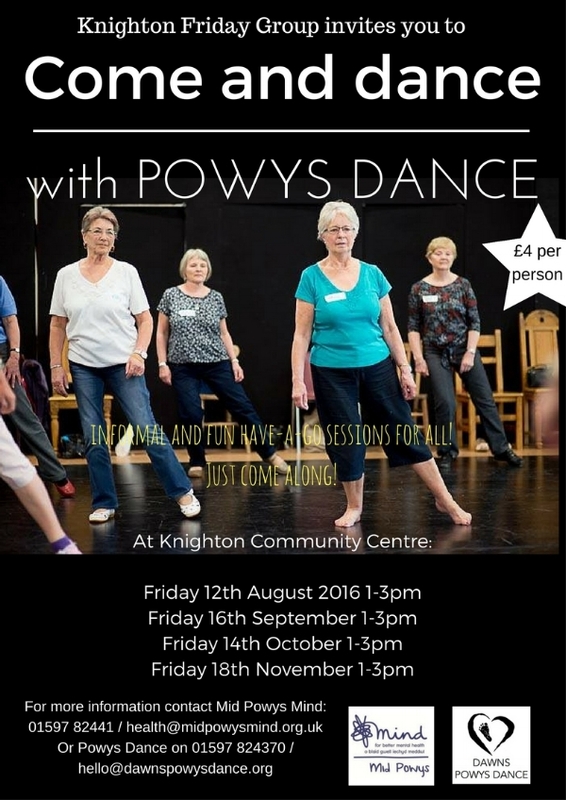 We've teamed up with Mid Powys Mind and their Knighton Friday Group to run a series of drop in dance sessions at Knighton's Community Centre. These will be open to all adults and have an emphasis on dancing for fun. The first session is Friday 12th August, and costs £4 - - just turn up, or get in touch if you'd like to know more.